For those of you who have never heard of Dr. John Sarno, in my opinion, he is a pioneer of modern healthcare in the specialty of body-mind medicine. He has been trained in physical medicine and rehabilitation, and has most of his experience in treating lower back pain and other chronic pain syndromes. By combining the science of medicine as we traditionally know it, with the understanding of the mind-body connection, he dares to approach and define the powerful and often destructive effects emotions can have to contribute to ill health. According to him and his research, medicine cannot and must not ignore the emotional dimension that adds to the diagnosis of many syndromes, especially of the musculoskeletal system, in which he specializes. Fortunately, modern medicine is now recognizing the problem of ignoring the body-mind connection, however, they are still not doing much about it. Dr. John Sarno is controversial among the medical community, to say the least. According to him, his new diagnosis of "Tension Myositis Syndrome," or TMS, is indeed a medical diagnosis, that needs to be made by a physician. I agree that this distinction is important, since pain of any type, must have every possible cause ruled out, such as cancer, tumors, bone disease and other physical anomalies. He justifies his new diagnosis, as indeed, a physical problem foremost, yet with an underlying emotional component. Tension Myositis Syndrome is the diagnosis he uses for nearly every case of intractable lower back pain, and many, many other chronic pain syndromes of the joints, muscles, ligaments, nerves and tendons. He also successfully treats fibromyalgia under the TMS diagnosis. Since most physicians have a difficult time explaining how a "structural" problem, or something you can actually see on the x-ray, or through a scope, can have emotional factors, they usually just ignore the whole dilemma. It is so much easier that way! They may say something nebulous like, "You really should reduce your stress…" But what does this mean for REAL healing? Not much, I am afraid. My clients come to me for help with pain. Sometimes it is new pain, but other times it is chronic, having been plaguing them for years. 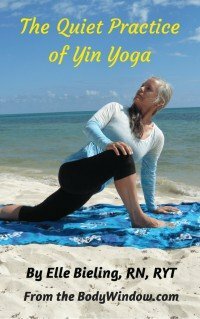 I believe in the mind-body connection, and this website is filled with the effects of emotions and tension on our bodies. What Dr. John Sarno has to say is not new to me. However, when my client's bring something to my attention, I know it is time to learn more about it. And for me, researching something and writing about it is the best way I learn. My clients are discovering the "new" diagnosis of Tension Myositis Syndrome. They are asking me about it. It was high time I actually re-read his writings and studied his experiences and learned of his methods for healing. What is Tension Myositis Syndrome? Tension Myositis Syndrome, according to it's inventor, Dr. John Sarno, is all about tension or stress, in the muscle. "Myo" in Latin, means muscle. In his care of his patients, he discovered that even with the most structural issues seen on diagnostic tests, like bulging and herniated discs, osteoarthritis and sciatica, that the primary tissue involved in chronic pain, is the muscle. Therefore, he defines TMS as "A change in the state of a muscle that is painful." Pain in the body, is often preceded by what a person describes as an injury of some sort, or in association with a physical activity of some nature. The belief is that something in the body has been injured or displaced, like "my back went out" or "my knee just buckled under me." The primary muscles almost always involved in this syndrome, are the muscles of the neck, shoulders, back and buttocks (hips). Dr. Sarno calls these the postural muscles. He states that one can find trigger point tenderness in these patients, at the top of the shoulders, on each side of the lower back, and at the side of each buttock. However, any muscle, nerve, ligament or tendon in the arm or leg may be affected. Joint problems and tendonitis frequently are affected by TMS as well. In the areas involved, the sufferer may have pain in the muscle, joint, nerve or tendon. It may involve numbness and tingling. The symptoms may be constant or intermittent. The pain may be a mild annoyance or severe enough to cause total disability. Who Gets Tension Myositis Syndrome? Dr. Sarno also discovered that people who suffered from things like lower back pain, knee pain, fibromyalgia and tennis elbow, frequently, and in addition to their TMS, had similar stress-like conditions, like migraine headaches, peptic ulcers, irritable bowel syndrome and acne, to name a few. Very interesting, isn't it? He also noticed that Tension Myositis Syndrome is most common in people between the ages of thirty and sixty, the primary years for responsibility. TMS is almost nonexistent in retirees and in children. Also a pointer towards stress and tension as a factor. Additionally, he noticed that with the sufferer of Tension Myositis Syndrome, that the pain often feeds on itself, and the person becomes so totally fearful of recurrent "attacks" that she ceases whatever physical activity she feels is causing the problem, or avoids certain body positions, like sitting a certain way, or not bending a certain way. A recipe for further immobility and pain. Dr. John Sarno has been more successful in treating lower back pain and other chronic pain syndromes than most other pain clinics. For him after years of observation and experience, he has found a formula that works. Other professionals are taking notice. 1. The client becomes fully knowledgeable of the condition of Tension Myositis Syndrome and is able to gain insight in the psychological nature of the disorder. 2. The acquisition of this insight and knowledge, leads to the client acting on the knowledge, to change her brain's behavior. Very interesting, isn't it? 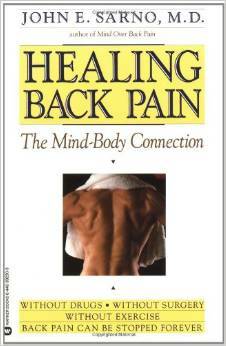 Now, this is really nothing new in the world of understanding metaphysical causes for pain. Or is it? The most striking thing about the treatment plan of Dr. Sarno, for Tension Myositis Syndrome, is that in order to heal the "physical" condition, the client must embrace that there is nothing structurally wrong with involved tissue! He has the client resume all activity that they believe was the cause of the "injury" in the first place! The reason Dr. Sarno knows this is helpful, is because he has seen the tests of these individuals, and has seen the tests of individuals who are not in pain, and often, there are no differences. This means that patients who have bulging discs in the spine, who do not know it, and have not been tested for it, often have no pain. But the back pain patients have the pain first, then are tested, and sure enough a structural "problem" is found. This physical "proof" as the source of the pain, is enough to make the patient believe they have a problem and send the sufferer into a downward spiral of protecting herself against further injury. A great leap of faith in a psychological cause of the pain, in the incidence of lower back pain, is required of the client to heal. While the diagnosis of Tension Myositis Syndrome carries painful and consistent trigger points of pain in the body, the focus is now turned to finding the emotional cause of the pain. This is a mandatory switch in thinking, in order to have successful treatment of the pain. Often, when clients realize the emotional component, that is underneath their pain, they heal very, very quickly, sometimes immediately, or within a few days or weeks. According to Dr. Sarno's philosophy of TMS, the pain occurs for entirely subconscious reasons. The client does not create pain to have personal gain in any way, nor does it mean that she is avoiding the requirements of life. Rather, is a culturally conditioned response, rising from the fact that certain emotions are not good, not acceptable for her conscious mind. The brain, in its subconscious state, cannot bring unacceptable emotions into the conscious mind, so that instead, the physical pain is created as a distraction. The pain is the distraction, to keep the intense feelings from being "discovered" by the conscious mind. This is the concept of the Body Window, to a tee! The concept of our body's speaking to us, of something we need to be aware. The Body is truly a Window to your inner self, your true self, or your soul. Dr. John Sarno refuses to get into the details of why a certain body part is affected, over another. He will not go down the energetic path of the metaphysical cause of these chronic pain syndromes. And I do not discredit him for that. What I credit him for, is discovering a way that actually cures clients of these debilitating pain syndromes. Which Emotions Are the Culprit for TMS? You may have already guessed which emotions may be the culprit. The interesting piece in all this, is that it is not necessarily the emotion that causes the problem, but the personality type of those who are affected. It is the response to the emotion, and viewing it as unacceptable that is the real culprit! Persons most likely to develop TMS are those who are perfectionists, hard working, "good" people. They are the ones who are the hardest on themselves, who feel like their work is never good enough. OR they sacrifice their entire lives for others, being the perfect wife, mother, employee, boss, or whatever. When the inevitable self-doubt and worry creep in, and the inability to be perfect at all times, then the feelings of anger and resentment that arise as a result must be repressed. This is the beginning of pain syndrome. The feelings most often that correlate with Tension Myositis Syndrome, are anger and anxiety. If these feeling are repressed long enough, and the person is distracted by TMS long enough, depression becomes a real problem. The Body Window never lies, nor does it give up. The body just speaks louder, until it is heard, acknowledged and understood. This is why I prescribe body meditations, foam rolling and yoga activities, to help you stay connected with your body, so things like Tension Myositis Syndrome are less likely to develop. If it all seems so very complicated to you, and you would like help decipering what it all means for you and your own life, I would be happy to assist you. I can be your holistic health coach, to help you uncover your own issues. Just contact me, and let me know you are ready for more information! May you have a deeper understanding of the "new" diagnosis of Tension Myositis Syndrome, and may you indeed, find healing of your own Body-Mind-Soul!